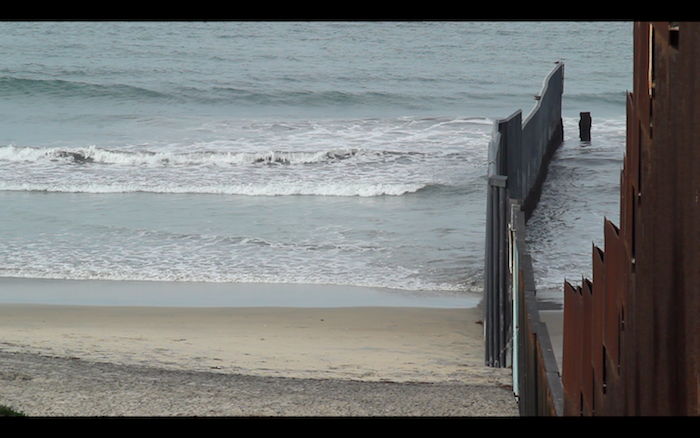 Fiamma Montezemolo will be screening Traces (2012) and more recent video works in progress that build on a long-term ethnography of the border—the linea—between Mexico and the USA. Her work is a reflection on the gesture of framing geopolitical and disciplinary territories through this contingent line. 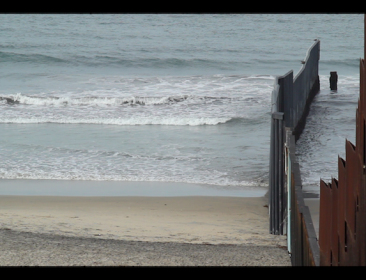 Traces is an experimental video-essay in which ethnographic research and art forms combine to create a meditation on border life, as well as an attempt to sculpt a textured living portrait, a kind of biography, of the wall that separates Tijuana and San Diego. The recent work in progress is an ethnographic research on the after-life of selected art works that have been part of the border’s art scene in the last years. It highlights the procedures of intrusion at work in both artistic and anthropological ‘interventions’ as well as the deployment of the emblematic figure of fieldwork. Each art work and its afterlife raises questions about social art, ethics, methods, collaboration, the city and its urban cycles, and the future of public sculpture. Fiamma Montezemolo is both a cultural anthropologist (PhD University Orientale of Naples) and an artist (MFA San Francisco Art Institute). She has taught for many years in Mexico, Italy and the US, and is currently teaching at the California College of the Arts, San Francisco. As an established scholar in border and urban studies, she has patiently designed rigorous and long-term ethnographic-artistic interventions at the Tijuana-San Diego border. She is widely published and the author of two monographs: on Zapatismo and on Chicano/a politics of representation, as well as co-author (with René Peralta and Heriberto Yepez) of Here is Tijuana (Blackdog Publishing, London, 2006) and co-editor (with Josh Kun) of Tijuana Dreaming, Life and Art at the Global Border (Duke Press, 2012). As an artist she situates her work as a critical extension and overcoming of the ethnographic turn in contemporary art. She works with various media, including installation, cartography, video, digital photography, industrial materials, performance, archival documents. Her art work has been exhibited, among other places, in New York, San Francisco, San Diego, New Orleans, Dublin, Rome, Mexico City, Tijuana, Morelia. In collaboration with the CISSC Working Group in Transnational Cultural Flows. Fiamma Montezemolo, Traces (2012). Photo credit: Saulo Cisneros.